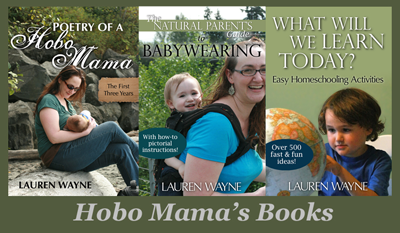 Hobo Mama: Poetry of a Hobo Mama on sale — this weekend only! Poetry of a Hobo Mama on sale — this weekend only! Happy Thanksgiving! I have a gift for you out of gratitude for your faithful readership. 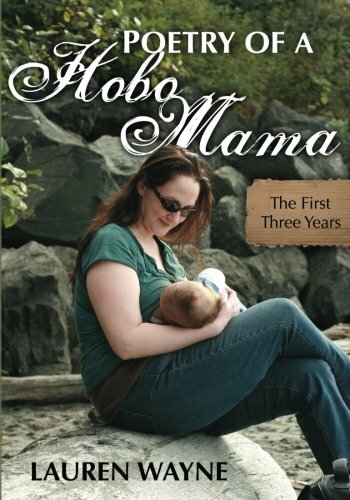 This deal on my book of parenting poetry, Poetry of a Hobo Mama: The First Three Years, has never happened before! For this Thanksgiving weekend ONLY, the price has been reduced to $9.99 with FREE shipping! Buy directly from me at my CreateSpace author's store. Enter code 4PV6AMYR for $3.59 off each copy, bringing the reduced price down to $6.40 plus shipping. CreateSpace shipping starts at $3.59, so it will be $9.99 with FREE shipping, and each additional copy in the same shipment will be cheaper and cheaper since the shipping decreases per item the more you buy! My parenting poetry book would make a thoughtful holiday gift for a fellow mama or new parent. I compiled all my parenting-related poetry, from my first pregnancy and miscarriage, then Mikko's story from conception through pregnancy through the newborn phase and all the way up to toddlerhood. If you're a fan of attachment-style parenting, you'll enjoy reading poems written for your experience: breastfeeding, babywearing, cosleeping, gentle discipline, and more. And if you're a fan of truth in parenting, you'll appreciate my honesty as I detail the highs and the lows of three years of getting used to this roller coaster ride. Read the 5-star reviews on Amazon and from various bloggers collected here. Read excerpted sample poetry from the book here. NPN Holiday Gift Guide Giveaway ends TOMORROW!